I can't believe that my oldest Son is 36 years old today!. where has the time gone? I really enjoyed making this card for him because I got to use the wonderful Distress Oxide ink pads. For the background I smudged some of the Black soot, Faded Jeans and Twisted citron down onto the craft sheet and spritzed it with water and then put the card down on the top of it to soak up the colour and kept doing this until most of the colour was gone on the craft sheet, I think I added a few more spritz with the water too. I dried the card with my heat gun and once it was dry I flicked some more water all over and then blotted with a tissue.. I love the effect! 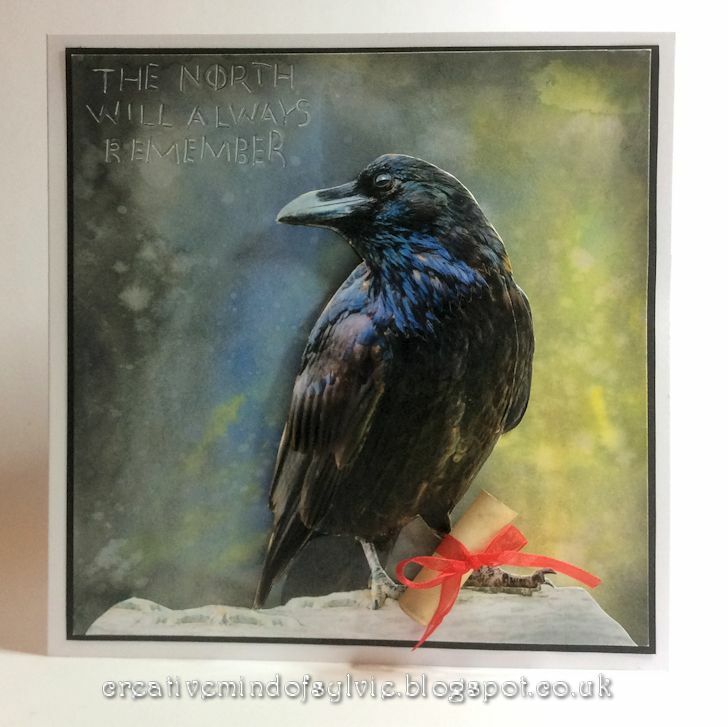 I found a copyright free photo of the raven and printed him out 3 times so that I could layer him up and the scroll is just a piece of paper that I aged using Antique Linen distress oxide and then going round the edges with some of the Walnut stain... Then, I wrote 'Happy 36th Name Day' and a message to my Son, rolled it up and tied with the ribbon which I had attached onto the card before I assembled it by cutting 2 slits and threading the ribbon through ready to tie the scroll onto. 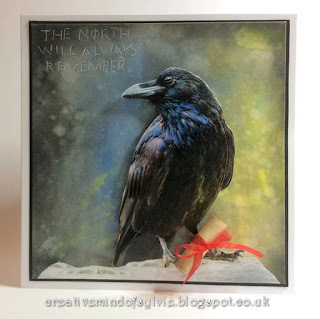 I used a wet brush to write 'the north will always remember' in the corner because I didn't want it to dominate the card..it's so faint that you can hardly see it. Thanks for visiting today and for reading how I made this card.